Simple Contemporary Affordable. 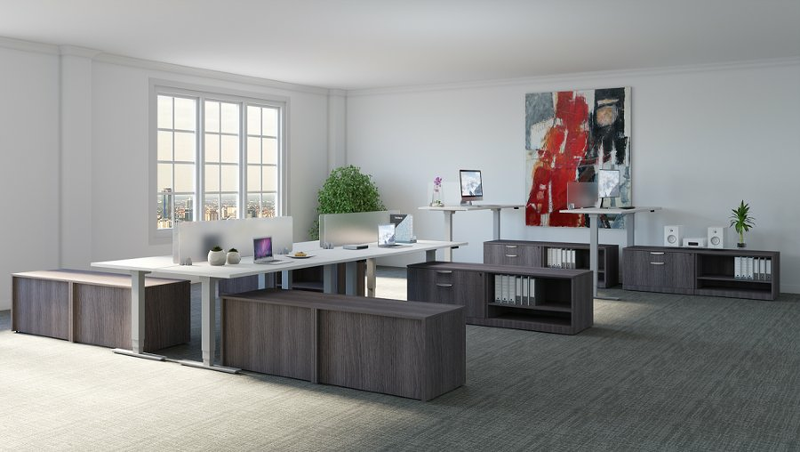 Featuring a heavy duty steel frame for enhanced durability and longevity as well as your choice of Walnut, White, Espresso, or Newport Gray laminate finishes. Greenguard certified. As always, if the shown configurations don't suit your needs, or you simply have any questions simply call our number, and we'll be happy to assist you.